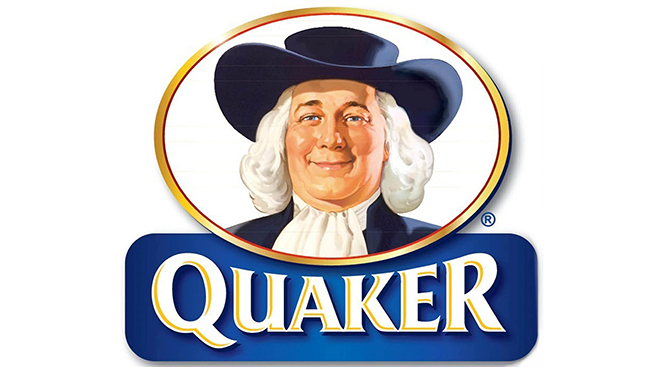 The Quaker Oats guy is getting a new look for the first time since 1877. The makeover is courtesy of a new partnership between America’s Milk Companies and Quaker Oats, which will feature Larry, the Quaker Oats guy sporting a milk mustache. The new push encourages oatmeal lovers to swap their water for milk when cooking their oats and enjoy it alongside a cold glass of milk for an added serving of protein in the morning. Larry is the latest in a long line of stars, celebrities, athletes and musical types who have sported the iconic milk mustache in ads and campaigns for the milk industry through the years. The new look will appear on canisters of Quaker Oats sold in grocery stores, marking the first time the mustache has made it to market shelves. The canisters will not only feature the milk mustache, but will also include Blippar technology aided messaging that allows consumers to scan the package and connect with special content as well as recipes in addition being able to share their own milk mustached Selfies. It seems that Larry’s mustache has also landed him in People Magazine’s “Best Dressed” issue and the old guy will also be seen in TV and online ads in addition to Quaker and Milk Life social media properties.